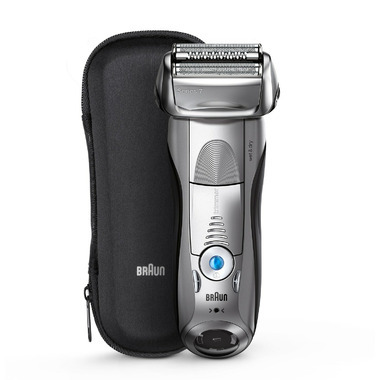 Precision HeadLock: Braun Precision HeadLock lets you lock the shaver head for for maximum control in difficult areas under your nose or chin. Shave wet or dry: With Series 7 you can shave dry or use water, foam or gel for even better gliding and a smoother skin feeling. Advanced display for battery status & hygiene: Very precise indication of charging, battery (3 levels) and foil replacement. 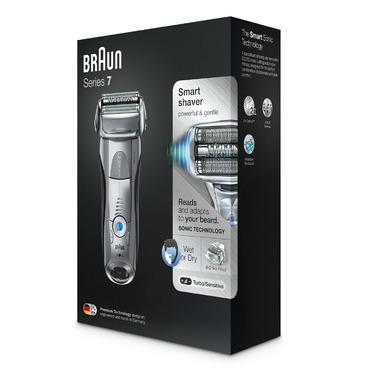 50min cordless shaving: The state-of-the-art Li-Ion battery never loses performance and fully recharges in one hour. The premium display indicates the remaining shave time. Running/Charging time: Fully charged in 1 hour. Shaves for 50 minutes. State of the art Li-Ion battery delivers power reliably. Quick-charge for one shave in only 5 minutes.